Need Free Real Estate Advice? Just Listed! Move in Ready Mountain Retreat! MOVE-IN READY CONDITION! Come home to your Mountain Retreat – it is a charming ranch style home that is sits on a large ¼ acre lot bordering the creek! Sit on your back porch & enjoy your morning coffee listening to the babbling brook of Fountain Creek – enjoy the calming & soothing sound of the moving water. Wonderful location! 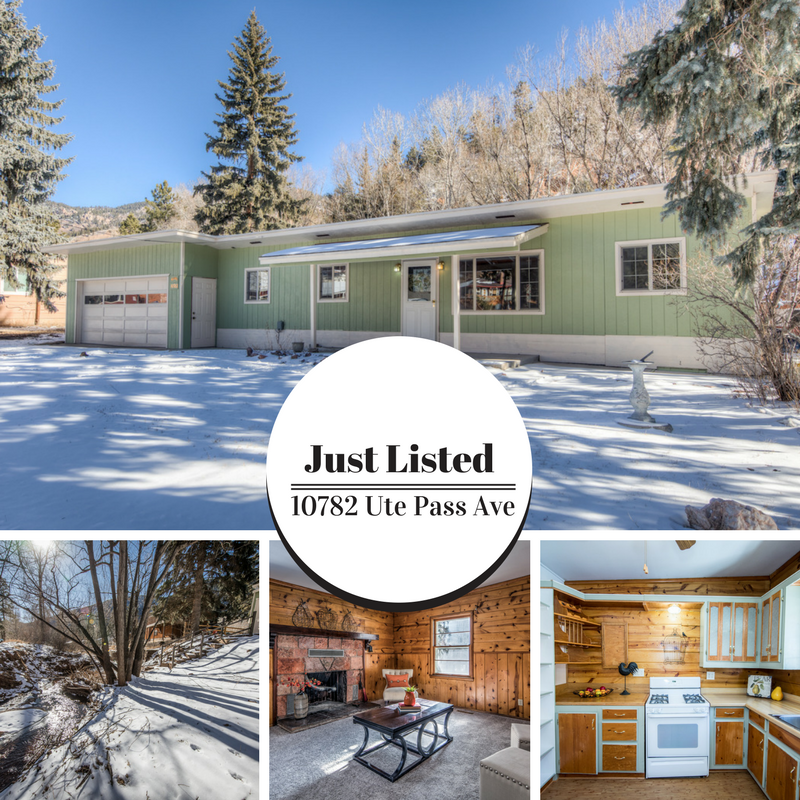 Just 10 miles to Colorado Springs!Awesome mountain living with all that Green Mountain Falls offers – it is only a quick stroll to the lake & gazebo, kid’s play structure/playground, tennis courts, community pool, restaurants, post office, trails, & more! WOW – what a PLUS – this home also features a hard-to-find 2 car oversized, heated garage with large workshop & laundry area! You will love the mountain flair of the pine cabinets & pine walls! Freshly painted interior & exterior, new carpet, new vinyl planking floors & much more! Great mountain views from your front porch or your back porch! You will enjoy the “one-level living” whether it is your full-time home or your mountain vacation retreat! 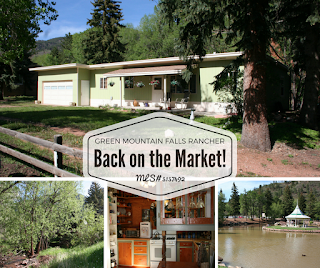 GMF is a wonderful community nestled in the mountains yet so close to Colorado Springs. Woodland Park is just a little further west of GMF. 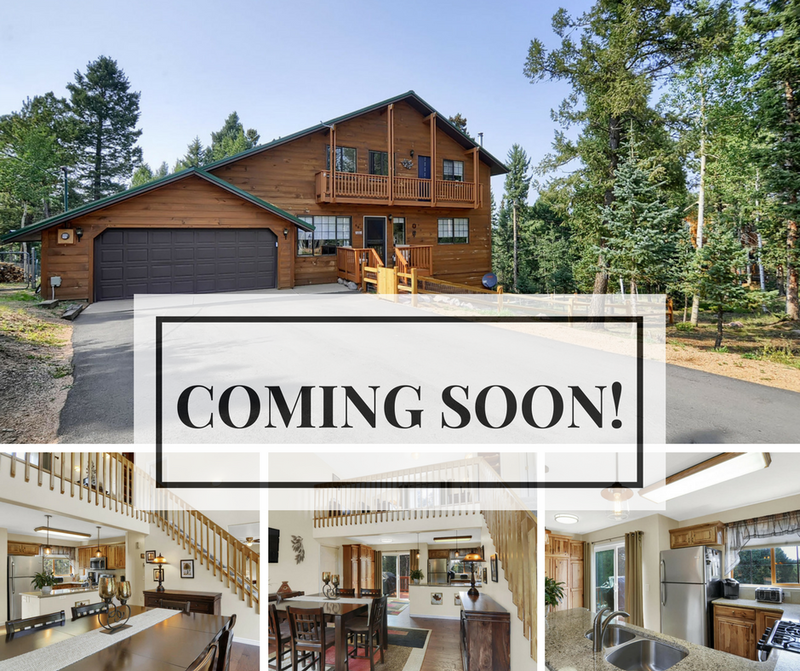 Beautifully Renovated Home in Divide, CO Just Listed! Call Debbie at 719-648-9903 for your private showing! Beautifully remodeled in the last year! Immaculate with many, many outstanding improvements! Move-In Ready! Situated on a beautifully treed 1 acre lot in a fabulous community with lots of recreational amenities! All new kitchen – quartz counters, hickory cabinets, soft close drawers/doors with pull out shelves! All stainless appliances in kitchen are included! Refrigerator in garage, separate chest freezer, and washer & dryer are included! Bathrooms beautifully remodeled with jetted tub in Master Bath! New Hardwoods & carpeting! Shows like a model home! Seller spent upwards of over $53,000 on all the improvements. Hotwater Baseboard Heat on upper & Radiant Heat in walk-out basement! And garage is heated! Metal roof installed 2013; hot water heater installed 2015. 3 bedrooms, with large loft, 3 full baths, 2 car attached garage, 2,271 sq.ft. Peace & serenity is yours with this upgraded outdoor living space – flagstone patios, decks, nicely treed lot – wonderfully designed & installed! Deck off Master, deck off Kitchen/Dining for your barbecue! Lots of flagstone areas off the walk-out basement. Great storage shed! Radon mitigation system already in. All drapes, window coverings, blinds, & hardware throughout included. New asphalt driveway installed last year. Spring Valley is a wonderful & sought after community that offers 2 large lakes (stocked), 3 ponds (perfect for kayaking, canoeing, ice fishing & skating), club house, parks & open spaces. Take a stroll to one of the community lakes nearby & fish with the kids or grandkids while enjoying a spectacular view of Pikes Peak! Wonderfully appealing mountain home with peace & serenity setting can be yours for full-time living or vacation home! Tons of extras with this home – you must see to know! Call now to schedule your showing and be the first one in when this one hits the market! Beautifully remodeled in the last year! Immaculate with many, many outstanding improvements! Move-In Ready! All new kitchen – quartz counters, hickory cabinets, soft close drawers/doors with pull out shelves! All stainless appliances! Bathrooms beautifully remodeled with jetted tub in Master Bath! New Hardwoods & carpeting! Shows like a model home! Seller spent upwards of over $53,000 on all the improvements. Hotwater Baseboard Heat on upper & Radiant Heat in walk-out basement! And garage is heated! Metal roof installed 2013; hot water heater installed 2015. 3 bedrooms, with large loft, 3 full baths, 2 car attached garage. 2,271 sq.ft. Peace and serenity is yours with this upgraded outdoor living space – flagstone patios, decks, landscaping – wonderfully designed and installed! Deck off Master, deck off Dining for your barbecue! Lots of flagstone areas off the walk-out basement. Great storage shed! Radon mitigation system already in. All the drapes, window coverings, blinds, & hardware throughout included. New asphalt driveway installed last year. Tons of extras with this home – you must see to know! Buyer financing fell through and this great property is back on the market! Come home to your Mountain Retreat – it is a charming ranch style home that is in wonderful MOVE-IN READY condition! Large ¼ acre lot bordering the creek! Sit on your back porch & enjoy your morning coffee listening to the babbling brook of Fountain Creek – enjoy the calming & soothing sound of the moving water. Wonderful location! Just 10 miles to Colorado Springs! 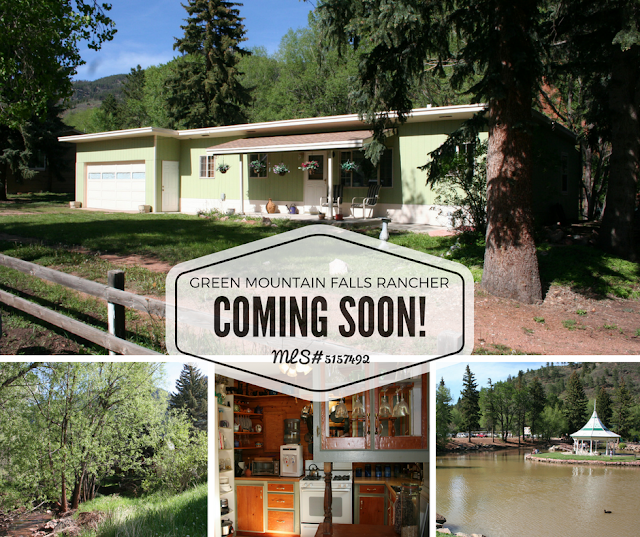 Awesome mountain living with all that Green Mountain Falls offers – it is only a quick stroll to the lake & gazebo, kid’s play structure/playground, tennis courts, community pool, restaurants, post office, trails, & more! WOW – what a PLUS – this home also features a hard-to-find 2 car oversized, heated garage with large workshop & laundry area! You will love the mountain flair of the pine cabinets & pine walls! Freshly painted interior & exterior, new vinyl planking floors & much more! Great mountain views from your front porch or your back porch! You will enjoy the “one-level living” whether it is your full-time home or your mountain vacation retreat! GMF is a wonderful community nestled in the mountains yet so close to Colorado Springs. Woodland Park is just a little further west of GMF. For more photos and details, click here: http://10782utepassavenue.canbyours.com/. 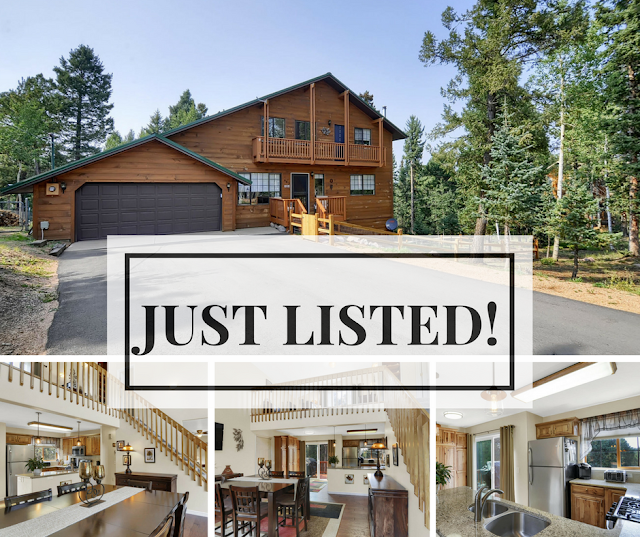 Just Listed! Charming Green Mountain Falls Rancher on Creek! Come home to your Mountain Retreat – it is a charming ranch style home that is in wonderful MOVE-IN READY condition! Large ¼ acre lot bordering the creek! Sit on your back porch & enjoy your morning coffee listening to the babbling brook of Fountain Creek – enjoy the calming & soothing sound of the moving water. Wonderful location! Just 10 miles to Colorado Springs! Coming Soon! Beautiful Mountain Retreat in Divide! All of this for only $243,000!! Won’t last! Call & Pre-Schedule your personal viewing for when it hits the market! Custom home with walk-out basement on cul-de-sac in impeccable condition! Move-in Ready – just bring your furnishings! LOTS of EXTRAS with this “well-cared for” home – Stainless Steel French 2-drawer Refrigerator, new full-size Washer & Dryer, Stainless Steel Gas Range/Oven, Stainless Steel microwave, Freezer in basement, all window blinds, shades, ADT security system, 22’ extendable ladder, Barbq Grill & Cover on deck, patio furniture, electric hand snow blower, weedeater, Sears vacuum, shower curtains in baths, shop vac, cabinet & clothes hamper in downstairs bath and cabinet in master bath!! Beautiful exterior rockscaping - boulder rock walls, timber steps (over $10K value)!! Nice views from the back deck. Soaring ceilings with beam & lots of glass in great room with wood floors. New carpet being installed. This home features 3 bedrooms (with 1 BR on main level) + office area in basement + an unfinished bonus room that could be a media room or study + 3 bathrooms + a wonderful mudroom/laundry room combo! Beautiful 1+ acre treed lot with natural gas! Take a stroll to one of the community lakes nearby – Elk Lake – and fish with the kids or grandkids! Wonderful mountain home with peace & serenity setting can be yours for full-time living or vacation home! Come home to your Mountain Retreat – it is a charming ranch style home that is in wonderful move-in ready condition! Large ¼ acre lot bordering the creek! Sit on your back porch & enjoy your morning coffee listening to the babbling brook of Fountain Creek – enjoy the calming & soothing sound of the moving water. Wonderful location! Just 10 miles to Colorado Springs! Awesome mountain living with all that Green Mountain Falls offers – it is only a quick stroll to the lake & gazebo, kid’s play structure/playground, tennis courts, community pool, restaurants, post office, trails, & more! WOW – what a PLUS – this home also features a hard-to-find 2 car oversized, heated garage with large workshop & laundry area! You will love the mountain flair of the pine cabinets & pine walls! Great mountain views from your front porch or your back porch! 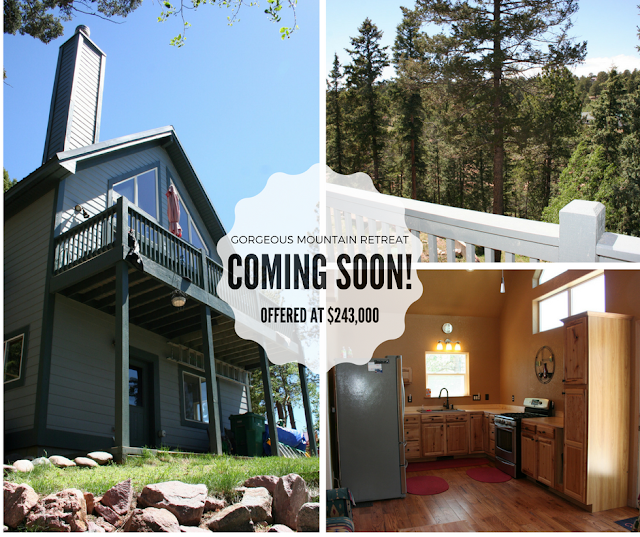 You will enjoy the “one-level living” whether it is your full-time home or your mountain vacation retreat! GMF is a wonderful community nestled in the mountains yet so close to Colorado Springs. Woodland Park is just a little further west of GMF. Free Area Real Estate Market Report!